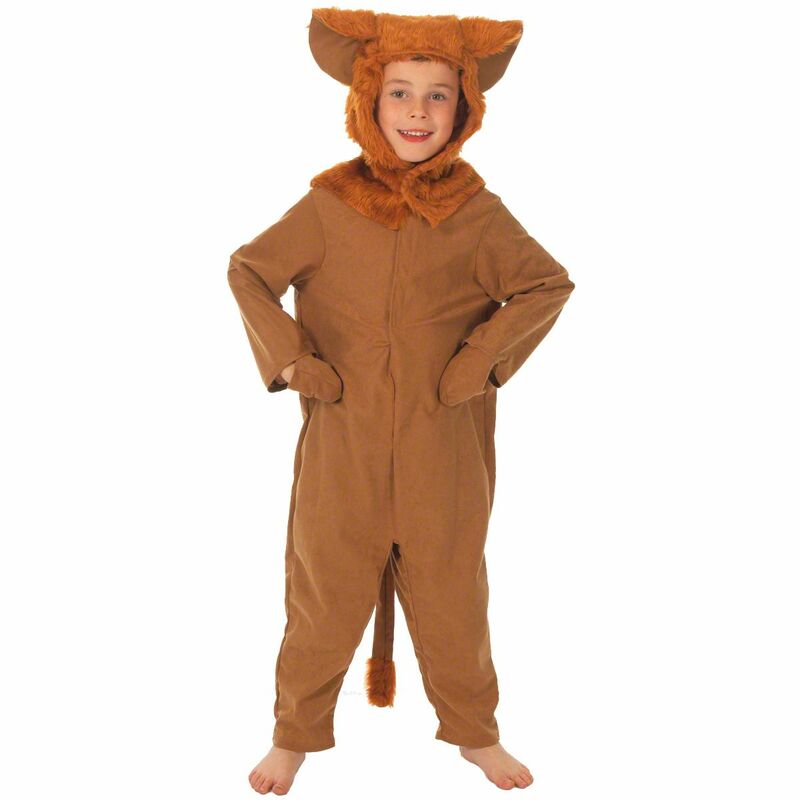 Kids will love dressing up in this majestic beige lion suit for any child. A one-piece lion fancy dress costume that includes a long tail, attached mittens, and a separate fur hood with mane. Would make a great Wizard of Oz Coward Lion Costume for book week.